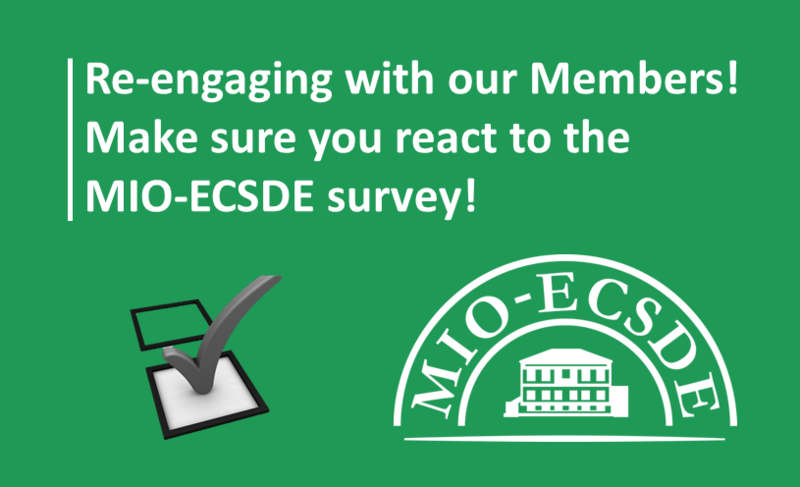 Re-engaging with our members: make sure you react to the MIO-ECSDE survey! The overall aim of this exercise is to enhance the involvement of its members in the design of the MIO-ECSDE work programme and better support its members to access the necessary information, resources and capacity so that collectively we achieve the shift towards a more sustainable Mediterranean. The survey includes questions on the members’ opinions about the state of the environment in their country, their capacity and competences and lastly their needs and the areas where MIO-ECSDE can assist. The survey was sent in April 2018. It is strictly confidential, and the report with the results (without specific reference to respondents) will be sent to all the members and posted on the MIO-ECSDE website. Together towards a more sustainable Mediterranean!